I clearly remember the TV ads that promised to settle your IRS tax debt for pennies on the dollar! Many clients were duped and hired the attorney making those promises. Tax resolution practices have been closed down and I heard of a popular attorney from California who surrendered her law license after being accused of making false promises to settle IRS debt. You can turn on the radio or TV and hear promises that sound too good to be true. They usually are too good to be true. Is it possible to settle your tax debt for “pennies on the dollar”? In certain situations it is possible but most people won’t qualify to do so. I have personally settled a client’s IRS debt for $500 when he owed tens of thousands of dollars of tax debt. U.S. laws allow relief from paying all that you legally owe the IRS for taxes, penalties and interest and I will explain 7 Ways You Might Qualify To Pay The IRS Less Than What You Legally Owe. 1. Currently Not Collectible Status. If you can convince the IRS that you will experience financial hardship (according to IRS standards) if you are forced to pay on your tax debt now, the IRS could classify you as Currently Not Collectible (“CNC”). The IRS will leave you alone until they notice that your tax returns are showing an increase in income sufficient to justify you start paying on your tax debt. During CNC status the IRS will not send you threatening notices, won’t file federal tax liens against you and won’t try to collect your tax debt by taking money from your bank account or garnishing your wages. The IRS only has 10 years to collect the debt (with some exceptions explained below in the section “Statute of Limitations Expiration”) and often the clock runs out on the IRS with the result you don’t pay all you legally owe the IRS. To convince them to grant you CNC status, you will have to provide financial information demonstrating your financial hardship if forced to start paying the IRS now. To remain in this status you need to file and pay all future taxes in a timely manner. You can expect one or two years until the IRS checks on you again to see if you should start paying them because of an increase in income justifying an expectation you should start paying on your tax debt. If, after taking all steps in the collection process, it is determined that an account receivable is currently not collectible, it should be so reported in order to remove it from active inventory. As a general rule, accounts will be reported as currently not collectible when the taxpayer has no assets or income which are, by law, subject to levy. However, if there are limited assets or income but it is determined that levy action would create a hardship, the liability may be reported as currently not collectible. A hardship exists if the levy action prevents the taxpayer from meeting necessary living expenses. In each case a determination must be made as to whether the levy would result in actual hardship, as distinguished from mere inconvenience to the taxpayer. Additionally, the Internal Revenue Manual 5.16.1 has comprehensive instructions for the IRS marking accounts as uncollectible. 2. Partial Payment Installment Agreement. Normally when you make an Installment Agreement with the IRS you need to pay your tax debt in full over a period of time. With a Partial Payment Installment Agreement (“PPIA”) you pay what you can afford until the 10 year collection period of the IRS expires without paying your debt in full. Whatever doesn’t get paid is forgiven by the IRS. I explain the details of the 10 year collection period below under the section “Statute of Limitations Expires”. 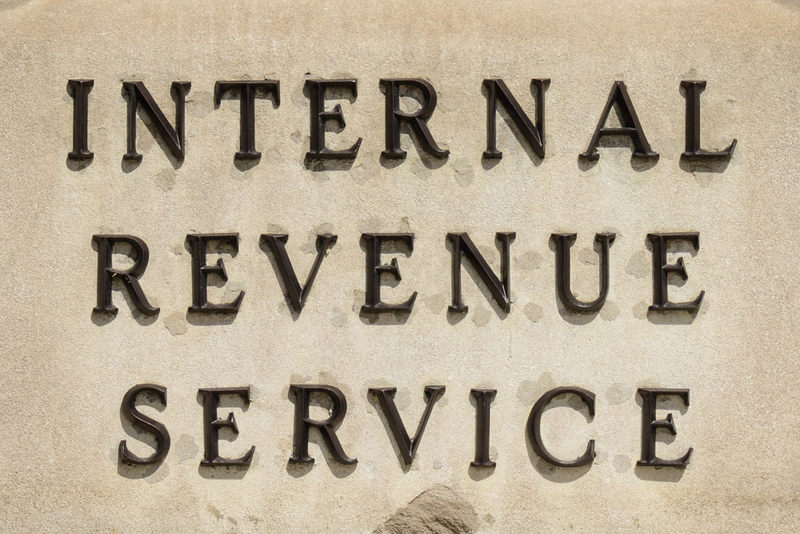 Internal Revenue Code section 6519 allows the IRS to approve a PPIA. The Offer-in-Compromise (“OIC”) alternative, discussed below, is often the preferred alternative since the taxpayer can resolve the tax with 12 or 24 months of allowed disposable income plus net equity value of assets. With a PPIA the payments can go on for years (until the 10 year collection period expires) but it has some advantages to the OIC. The OIC process usually takes 6-12 months or longer to complete and in complicated cases even longer. A PPIA can be completed within 30 days, more or less. An OIC requires the taxpayer to stay compliant for five years and if there is a default the OIC is undone with the taxpayer owing the full liability. During the time that the OIC is being considered for approval the 10 year collection statute is paused and only continued once the OIC is approved. If your OIC is rejected the clock starts again and you just added time to the 10 year collection period. With a PPIA the clock never stops on the collection period. One disadvantage of the PPIA as opposed to the OIC is that the IRS will often review your financial condition every two years to see if you can afford higher payments. The Offer-in-Compromise (“OIC”) is considered the gold standard of IRS debt settlement because it forever resolves your tax debt for less than what you legally owe. Here is what is required to get the OIC approved. To demonstrate that the taxpayer cannot pay the tax debt in full before the collection period expires, the taxpayer files an IRS application supported by documentation and information required on the application showing that allowed living expenses do not leave enough income to fully pay the debt. or that requiring full payment of the tax debt by the taxpayer would result in economic hardship or be unfair and inequitable because of exceptional circumstances. Pay an application fee of $186 and select a Lump Cash Offer or Periodic Payment Offer. The Lump Cash Offer is to be paid in 5 or fewer months and the Periodic Payment Offer is to be paid within 24 months. 4. Statute of Limitations Expires. Some people think that the IRS can come after you for past due taxes regardless how long you have owed the money. Actually there is an IRS statute of limitations which limits collection for 10 years after which time you no longer owe the money. There are several important points that govern expiration of this collection period. The 10 year period starts when the IRS officially decides that you owe taxes which is usually after you file your tax return. If you are audited and the IRS assesses additional tax then the 10 year collection period starts on the new assessment. if you are out of the country for six months or more. Any of these events extends the 10 year collection period. It is rare but if the IRS files a lawsuit against you in federal district court the statute of limitations is extended for an additional 20 years and longer if renewed. If there are federal tax liens filed they become unenforceable after the statute of limitations expires. When you are married and file joint tax returns with your spouse you both are liable for the tax debt. Sometimes there is relief provided by the IRS when it is equitable to absolve one of the spouses for improper reporting on tax returns. If you able to persuade the IRS that you should not be held liable, then you will no longer owe the tax debt from which you were granted relief. These possible actions to limit tax debt for the non-responsible spouse can be found on the IRS website. There are various penalties that the IRS assesses against taxpayers but the most common ones are for failing to file tax returns and for failing to pay taxes when due. Sometimes these penalties can be abated (reduced). Each of these penalties can amount to 25% of the tax debt owed but if both are owed they can only amount to 47.5% of taxes owed. In addition to penalties the IRS charges interest on the taxes owed. What can be done to reduce penalties? Relief from paying penalties can be requested in some situations including qualifying for a First Time Penalty Abatement or for Reasonable Cause. The IRS can issue an administrative waiver to a first-time noncompliant taxpayer to request abatement of penalties for a single tax period for failure to file, failure to pay, or for a failure to deposit withheld payroll taxes. For individuals and businesses this means penalties assessed for a full year calculated on income taxes and for one quarter calculated on payroll taxes. Penalties assessed on estimated taxes and accuracy-related penalties cannot be waived under First Time Abatement. To qualify for First Time Penalty Abatement the taxpayer has to show that he has been filing tax returns timely, including extensions to file for the three years immediately preceding the request to abate penalties. If the taxpayer has an ongoing installment agreement with the IRS he must show current on payments. In addition to the First Time Penalty Abatement a taxpayer can request abatement for a reasonable cause. These requests are fact specific and determined on each situation’s unique circumstances. Reasonable cause for penalty abatement is essentially a legitimate reason for not complying with filing or paying requirements and that you have exercised ordinary care and prudence. Basically you must show that noncompliance was due to something out of your control. Unfortunately if you are habitually late in filing returns or paying taxes then your chances of approval are considerably less. If you had the money to pay bills other than the IRS and the expenses were not necessary then it will be less likely that your request will be approved as not reasonable. Sometimes filing bankruptcy is a viable option to pay less than what you legally owe. When you file for bankruptcy you will receive a discharge which settles the tax debt, penalties and interest and the IRS is bound by this determination. You have to wait for three years after having filed your tax return if the return was filed on time. If the tax return was filed late then you must wait two years from the date you file the tax return before filing for bankruptcy. The first rule above also applies in this situation meaning that if you file less than one year after the due date of the return you still have to comply with the above three year rule. You must wait 240 days after the IRS assesses you with the relevant tax debt before filing for bankruptcy. Some taxes cannot be discharged in bankruptcy such as: trust fund employment taxes (the portion of paycheck withheld from employees), taxes owed when the IRS files a Substitute For Return when the taxpayer has failed to file his own return, and tax fraud debt. You should consult with an experience bankruptcy attorney for advice on whether your taxes can be discharged. For a Free Consultation to discuss your tax liability contact attorney Tony Ramos.